In the past, if you wanted one of your Amazon products to include free shipping, you had to up-load an exclusive override shipping template. It took a long time and it was a huge hassle. Thankfully, Amazon is moving away from these complicated, time-consuming spreadsheets. With the new shipping template, customizing shipping for your products is much easier. You can create templates for shipping that can be applied to multiple items. You may create a template that charges a customer $1 per pound for shipping, or a template that only charges shipping for international orders, or a template that might offer global free shipping. The options are incredibly custom. Now, keep this in mind – this only applies to FBM items. FBA products always include free shipping, so these shipping templates only apply when you’re shipping products out yourself, from your house, garage, or warehouse. First, go to Seller Central and hover over “Settings” in the upper right-hand corner. 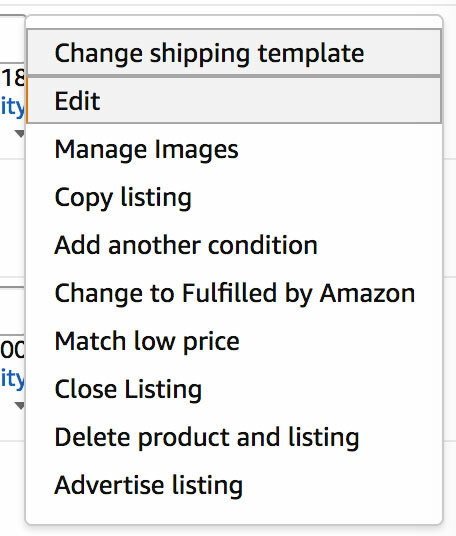 Click “Shipping Settings.” To create a new template, click the dropdown under “Edit Template,” then click “Copy to a New Template.” All the settings on your current default template will be copied to a new template. Once you’ve created your new template, give it a name. The next setting you’ll see is Rate Model. Per Item/Weight-Based will calculate the shipping price per item or per pound, plus a fixed fee. Price Banded will calculate the shipping cost based on the cost of the order. You can customize different “bands,” such as charging $2 shipping for orders between $1 and $10, $4 shipping for orders between $10 and $20 – and so on. Price banding can be helpful if you have a ton of inventory and are shipping from multiple fulfillment centers, but if you’re just looking to include free shipping on a handful of items, your best bet is the Per Item/Weight-Based option. Next, you’ll have to choose the actual shipping option. “Free Economy” is for automatically free shipping. Click the checkmark, click “Add New Region,” then add the areas you want to offer free shipping. Your choices will include the 48 continental states, plus Alaska, Hawaii, the US Protectorates, and shipping to military. instead With this option, you can change specific regions to a $0.00 cost, but charge for shipping in other areas. for a weight of half a pound. Amazon will automatically calculate this shipping cost based on your settings and the product weight on your listing. You can also charge per item, instead of per pound. Click the “per Lb” dropdown and select “per Item.” Change the price to $0.50. Now, Amazon will charge $5 for shipping, plus $0.50 for every item in the order. Once you’re done, hit save – and here’s the coolest part. Then, in the top left corner, you’ll see another dropdown with all of your shipping templates. Select your new template, click “Yes, continue,” and your template will be applied to your product. With these new shipping templates on Amazon, you have 100% control over the shipping settings for each and every one of your FBM items. Of course, you had 100% control before, but it was complicated and time-consuming. Now, customizing shipping is quick and easy!